Why did you choose this text? Why do you consider it a vital read? JR is a French photographer/activist most of the work he does is illegal. He started life as a graffiti artist, but only started taking photographs when he found a camera on the Paris Métro as a 17-year-old. He considers himself a hybrid "photograffeur”. He photographs local people from all over the world and displays their pictures in their local community. The images are enlarged into very large black and white billboard size prints. The portraits are quirky, expressive images of the individuals. Exhibitions are held freely in the streets of various countries, on trains, walls and roofs of buildings etc. What is the main proposition, philosophy, or purpose of the text? Does it state a clear hypothesis or argument? JR is able to unite local people and make them visible to others who may not notice them, or even want to acknowledge them. By dealing with local people, he is able to give them a voice and through the photographs, able to express their opinions. 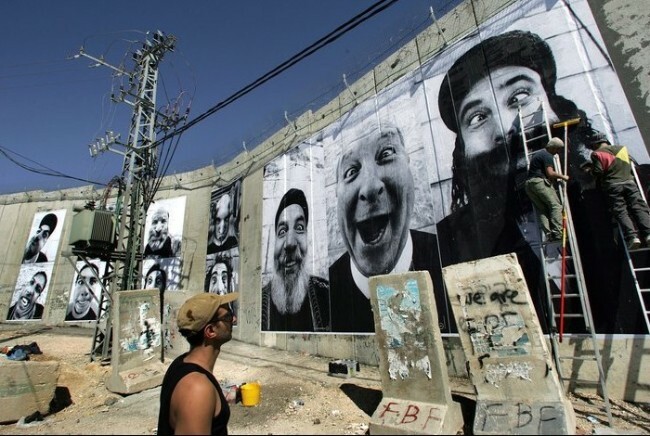 For example he created huge portraits of Israelis and Palestinians face to face in eight Palestinian and Israeli cities. As a social photographer he makes visible marginalised or socially invisible people. A large aspect of his work is used to question and stretch the notion of ownership of public space. As a “photograffeur” he differs from classic graffiti artists, by involving the local people of the area. In some ways the people take over their own space. What does the text expect the reader to do? 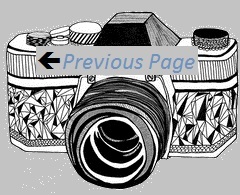 I believe it is JR’s hope that the reader/viewer will be informed about the social and economic situations of each person photographed. He presents a world that is usually invisible to average person, and creates it on a large scale. The website is biographical, containing all of JR’s past projects to a global audience. I believe that JR has a democratic vision and relishes in the idea of a wide range of individuals viewing his work. How does the text sit in terms of other authors and a general sense of the debate? Is it a part of a discourse? The artist Banksy was mentioned as being similar to JR. I personally disagree. JR involves the community with his “photograffeur” work, whereas Banksy appears to work independently. JR displays ‘artful’ photographs in public spaces, whereas Banksy works as a traditional graffiti. Comment on a particular element of the text you find of interest. Could it lead to a visit or contact with a person? His current projects ‘Wrinkles of the City’ which questions the memory of a city and its inhabitants and ‘Unframed’, which reinterprets in huge formats photos from important photographers taken from the archives of museums. Is there anything you think the text has missed out on or has not done well? Can you identify what you are going to read next?